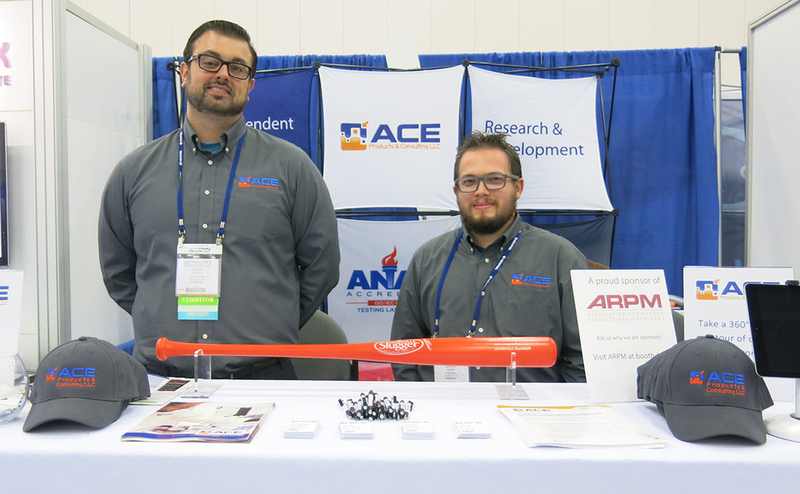 Doug Foster and Erick Sharp pose for a photo at the Ace Products & Consulting booth. 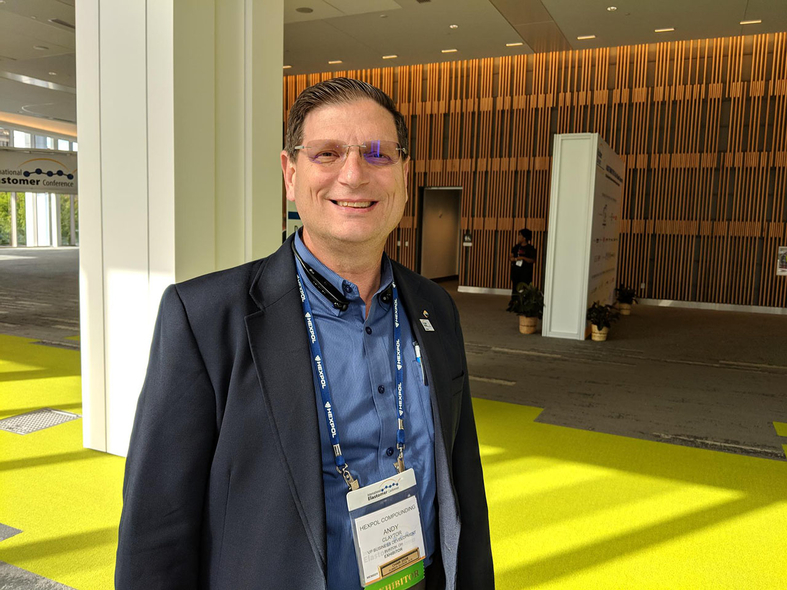 Andy Claytor of Hexpol is a familiar face at Rubber Division gatherings. He was chair of the association in 2006. From left: Keith Thomas of R.D. 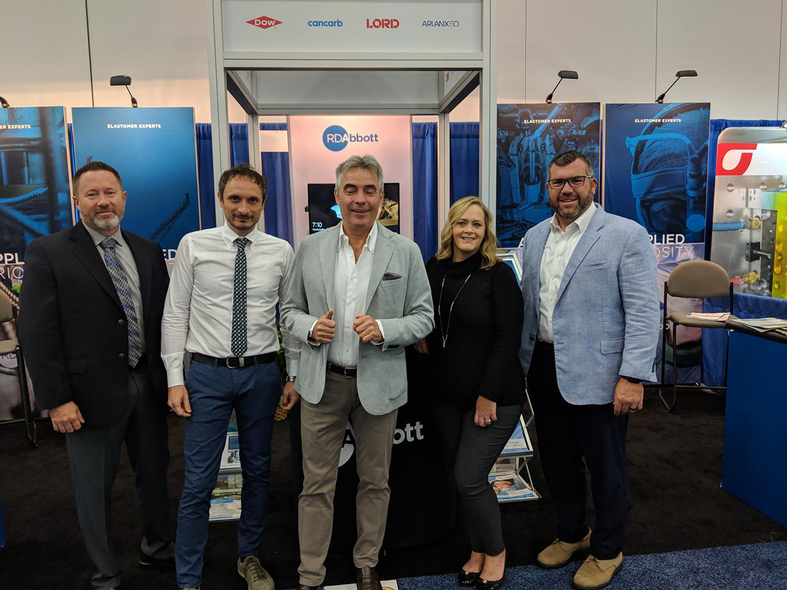 Abbott, Gianluca Melillo and Giorgio Marzari of RDC, and Krista Toutant and Scott Kearns of R.D. Abbott meet at the Rubber Expo. R.D. Abbott recently began distributing RDC materials in the U.S. and Canada. 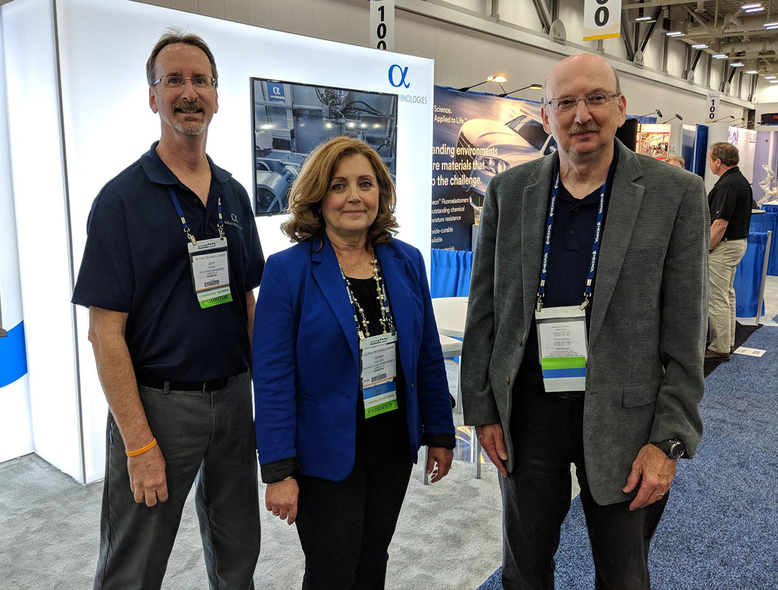 From left: Jeff Ward, Terry DeLapa and Henry Pawlowski at the Alpha Technologies booth. 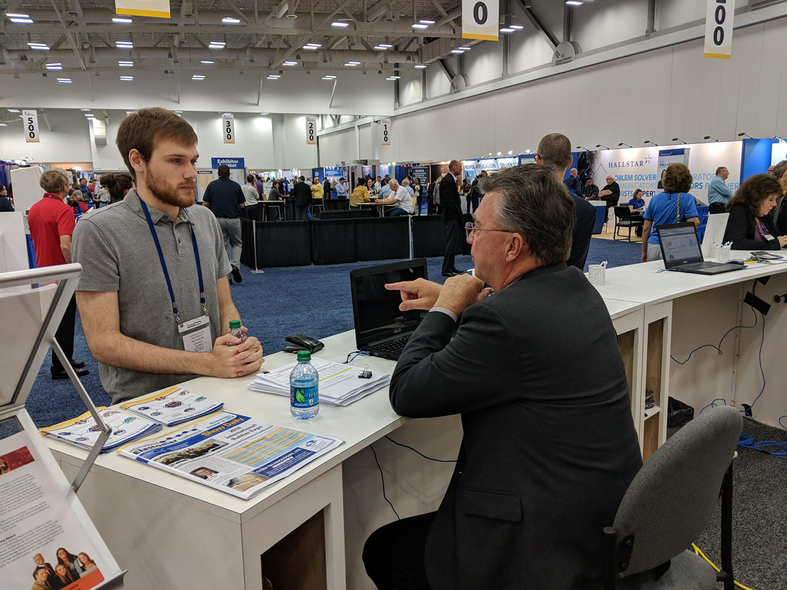 Nicholas Longway (left) of Ferris State University talks with Michael Morrow of MBG Associates L.L.C., who will be chair of the ACS Rubber Division in 2019. 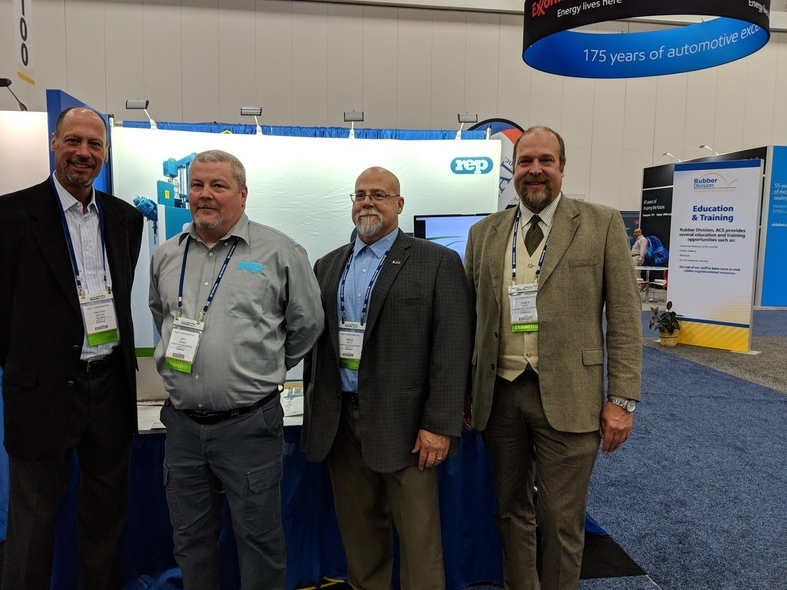 From left: Tim Graham, Jeff Tanner, Brian Boyle and Jim Wirtz II at the Rep booth. Graham is retiring as president at the end of the year and will be succeeded by Wirtz. Michael Morrow speaks during the 25 Year Luncheon Club. 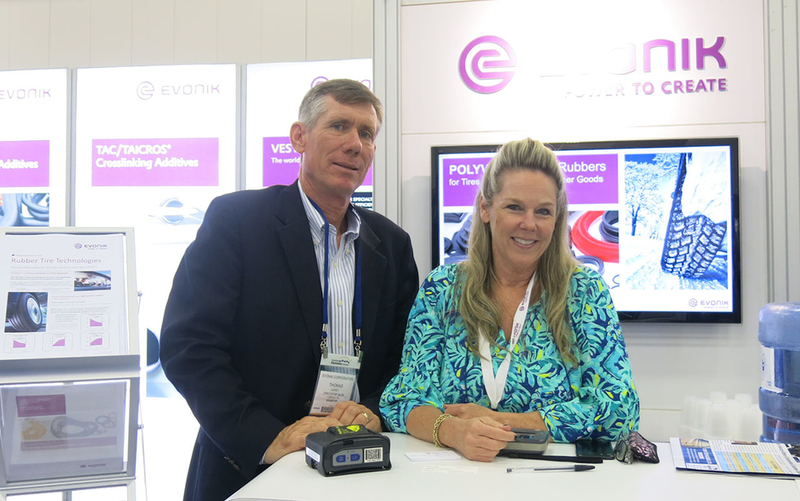 Thomas Lahey and Tricia Szymanski represent Evonik at the Rubber Division Expo. 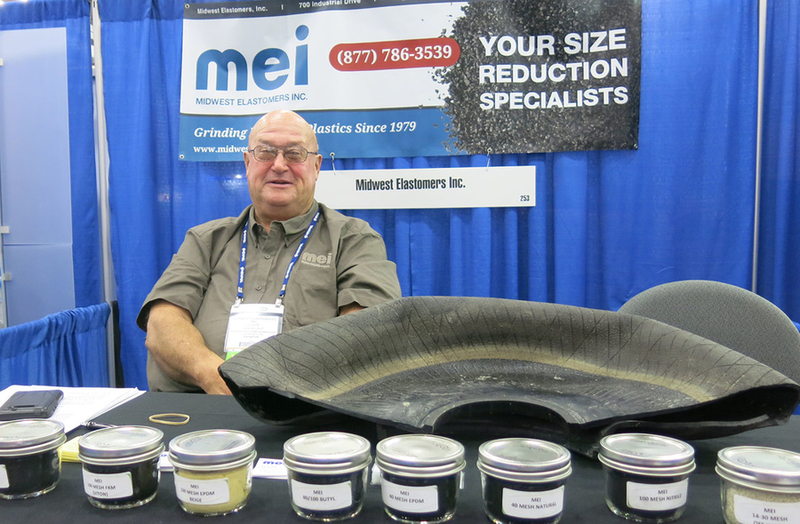 Dave Gundakunst, of Midwest Elastomers, poses for a photo at his booth. 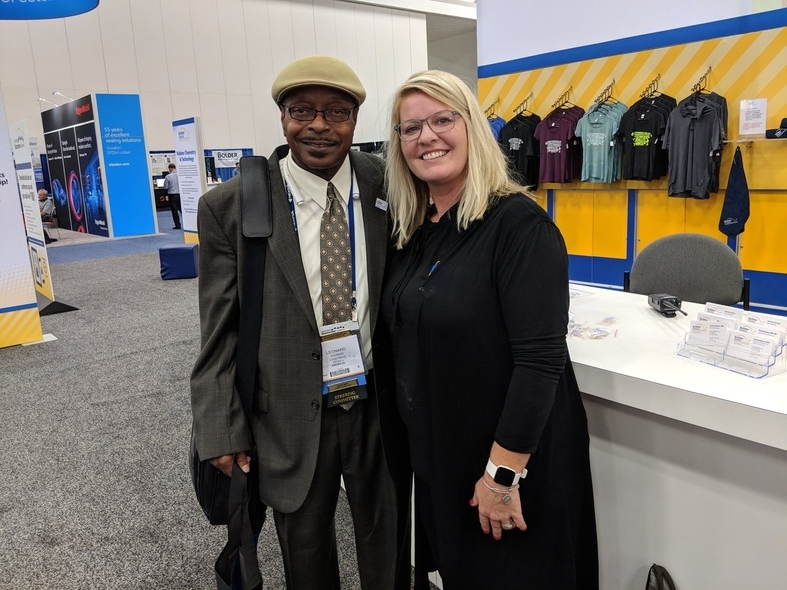 Pictured are (from left) Karen Tripp, Chris Tjia, Rodney Armstrong, Regina Graphenreed and Allison Mramor. 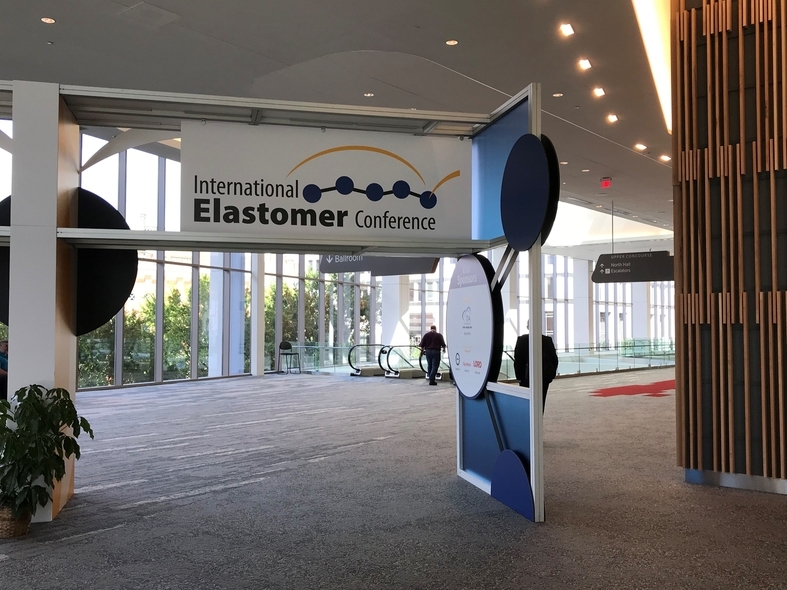 The International Elastomer Conference wrapped up Oct. 11. 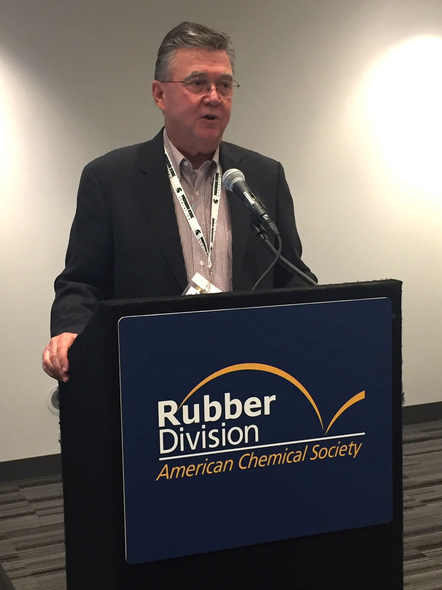 The Rubber Division's International Elastomer Conference and Expo continued Oct. 10 in Louisville, Kentucky. 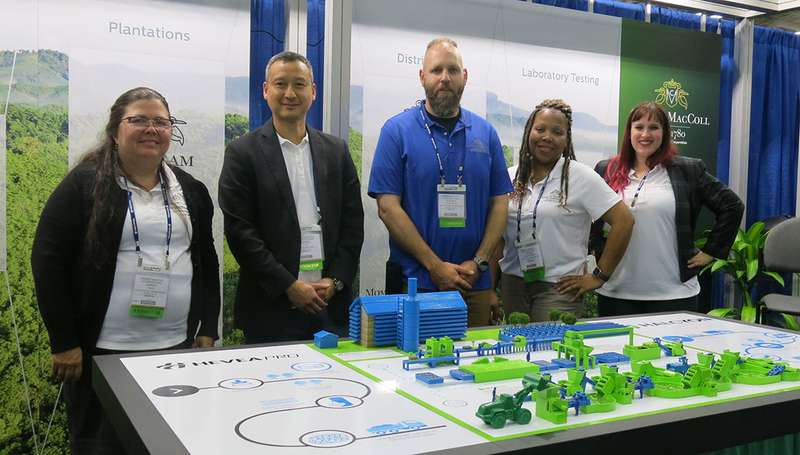 The day included the 25 Year Club Luncheon, technical presentations and networking opportunities on the expo floor.